The last installment of the Twilight movie franchise hits theaters Friday with the release of Breaking Dawn Part 2 (yes, I have secured my tickets). 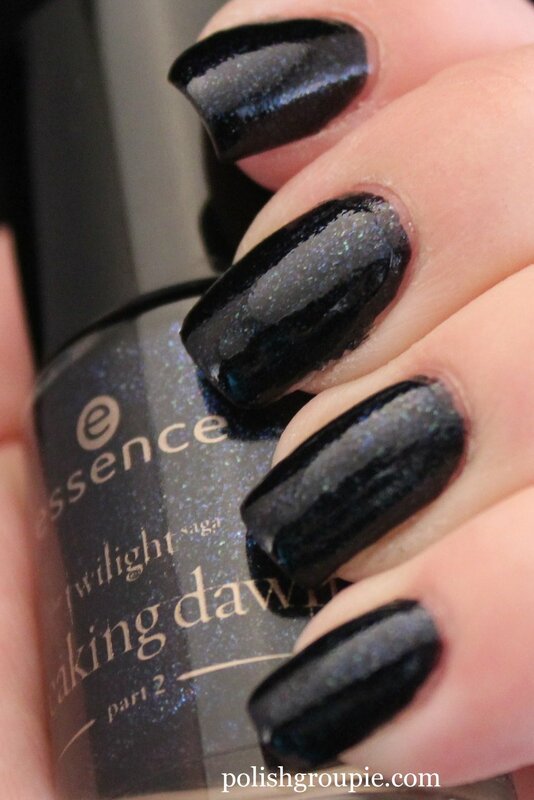 This week I’ll be showing some of the Essence Twilight Breaking Dawn Part 2 nail polishes. First up is Edward’s Love. 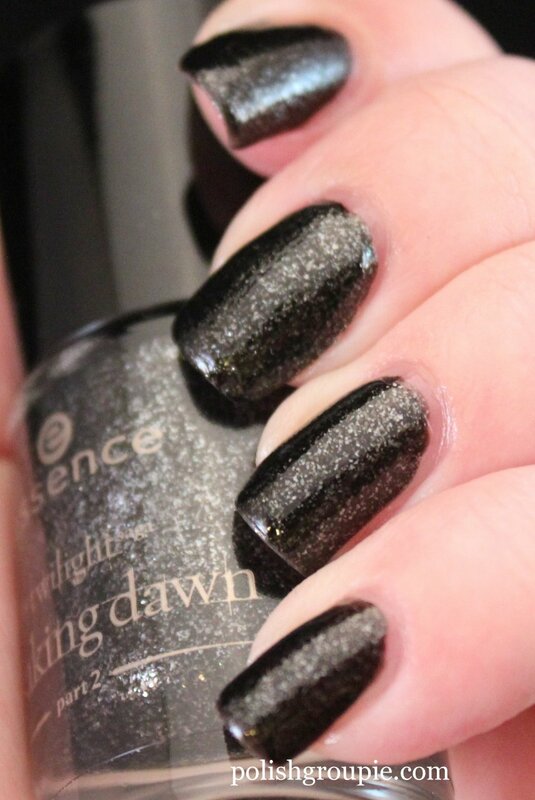 It’s a black polish with a lot of silver shimmer on it. Nothing too special here but it’s a good choice if you want something more than basic black. 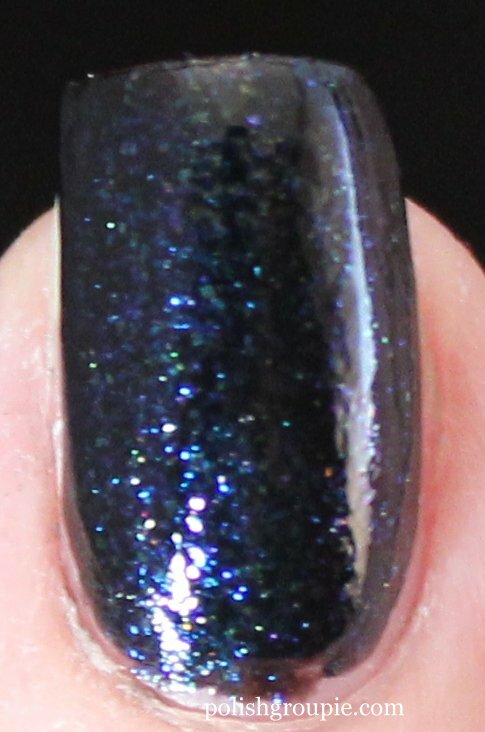 This is two coats plus one coat of Poshe fast-dry top coat. I will say that the formula is not that great, and neither is the brush. The formula is very thick, nearly goopy. The brush is on the short side, more like a mini bottle, and the bristle part is a bit too big for my taste. 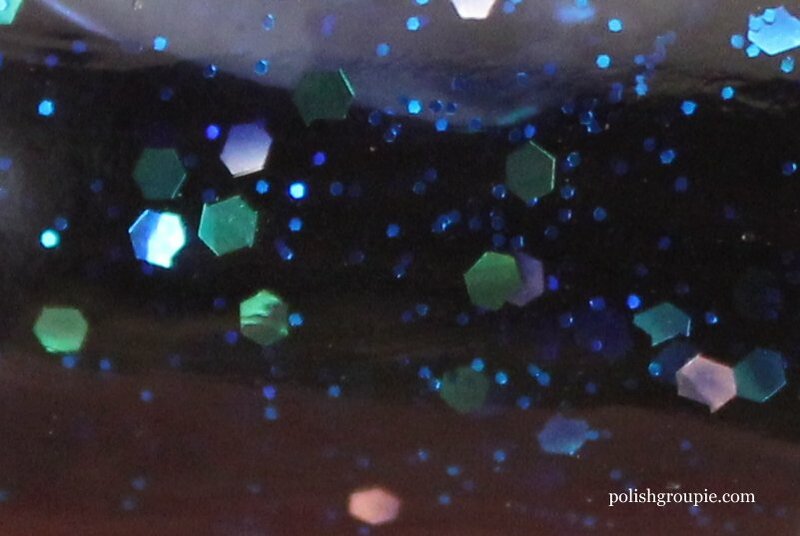 But if you’re a fan of Twilight and/or $1.99 polish, have at it! I bought these at Ulta; I’m not sure where else they might be available. 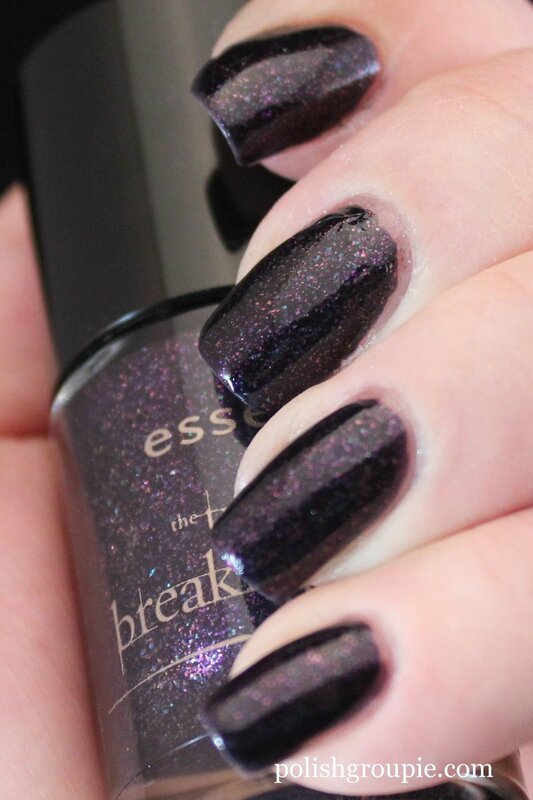 Come back tomorrow for a look at another shade from the Twilight Breaking Dawn 2 lineup. I’ve got a short and sweet one for you this morning. 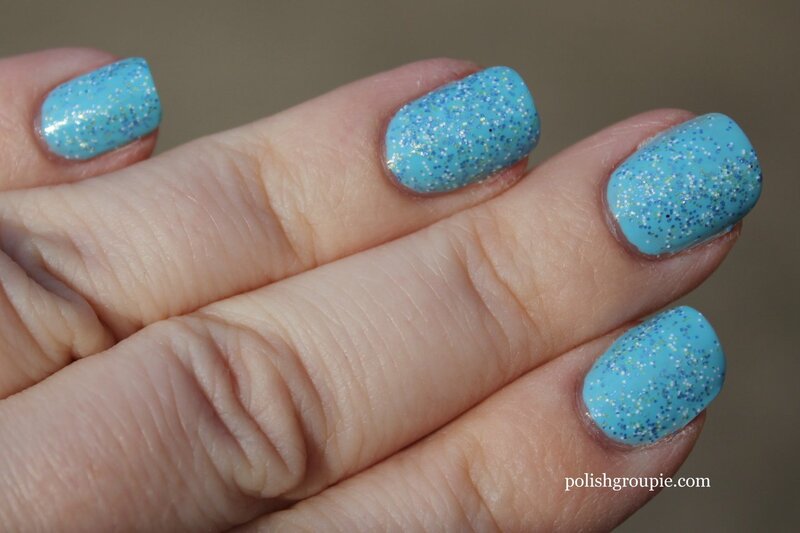 I recently picked up the Ulta Glitterati Minis collection on sale for $4. If there’s an Ulta near you, I recommend running out to see if they have any left because it’s a great little set. 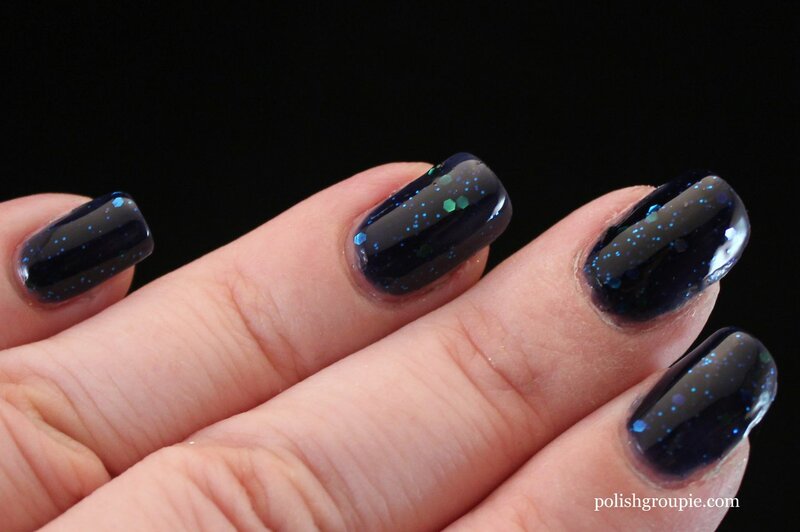 This is Hide And Go Sequins, a lovely blue jelly with tons of blue and green glitter packed in. It’s basically a jelly sandwich in a bottle. 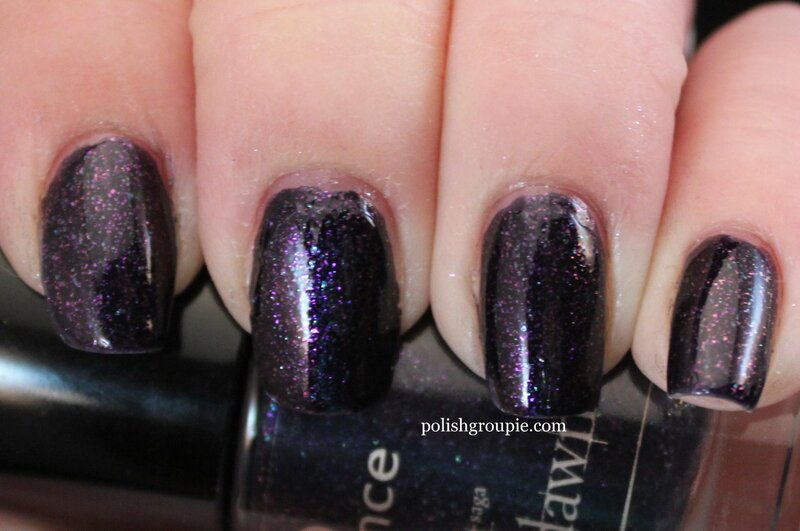 Some bloggers have said this is a dupe of Deborah Lippmann Across The Universe but I don’t have it to compare. 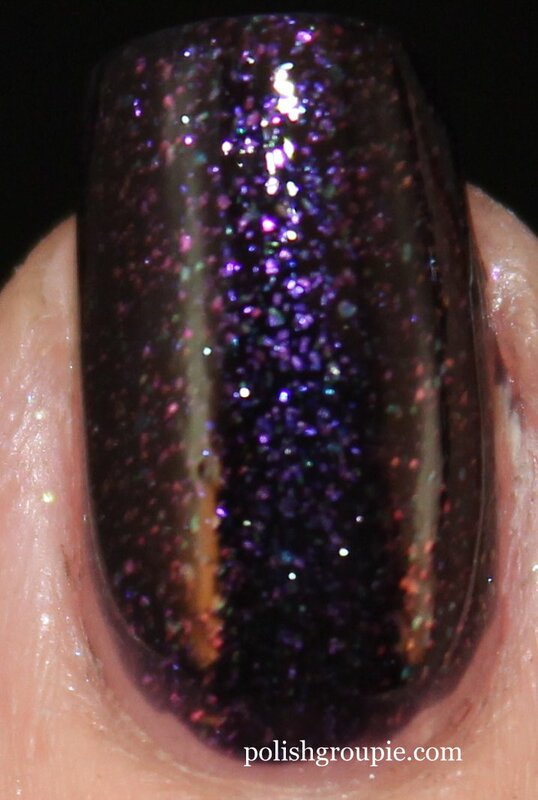 It does look close based on swatches I’ve seen. At this price, who cares whether it’s exact or not; it’s close enough! Now I wish it was a full-size bottle. 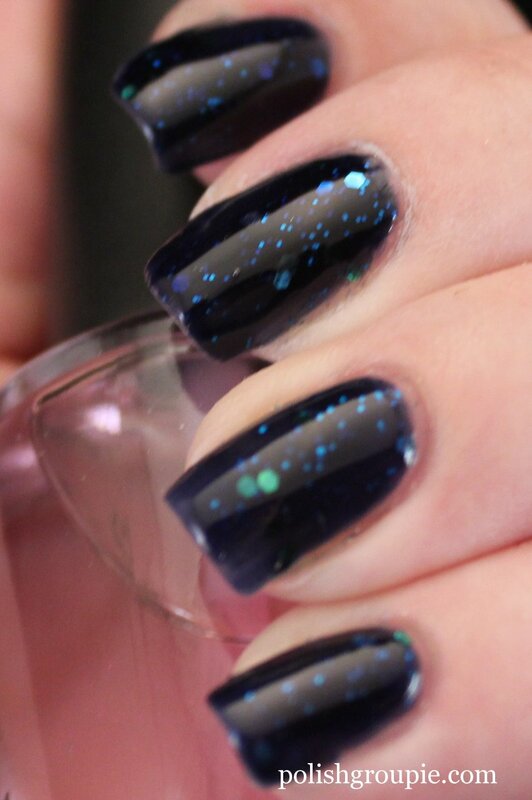 I’m showing three coats here with no top coat. Awesome color! 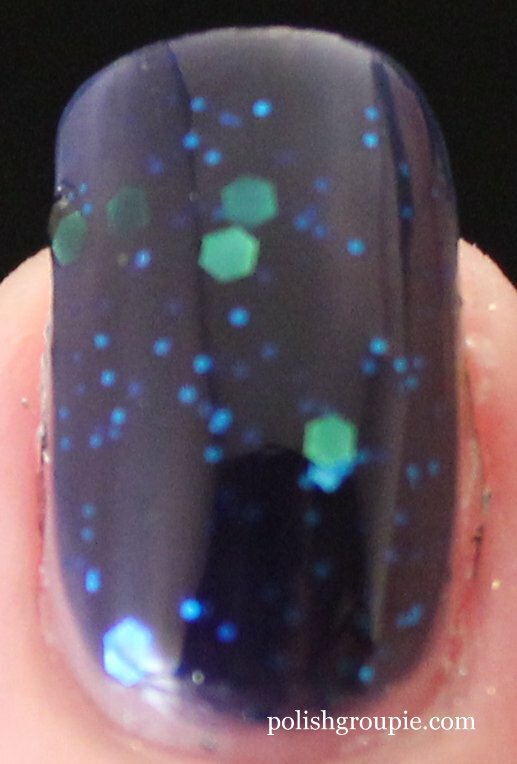 The other three colors in the set are all similarly glitter-ific.